I think fashion is cyclical. In my version of the future, the 80’s is referenced. 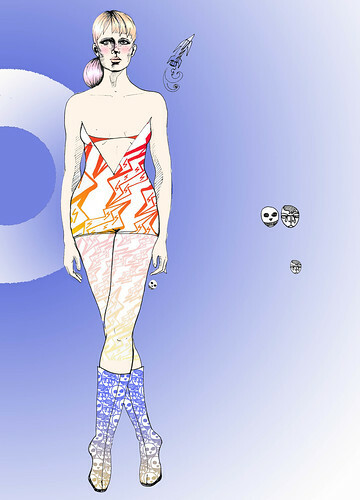 Above is my future girl drawing with two patterns for her clothing below. 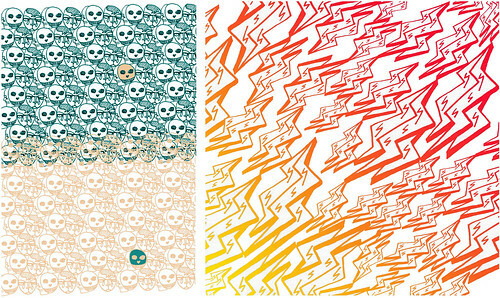 Pattern 1 is called “sad bad” and two is called “lighting strikes” (it’s sort of an homage to the Flash). This meets my required drawing for Drawmo! day 12.Â Here’s day 13. Have a great one!